The Kissed Mouth: Beata Mea Domina! 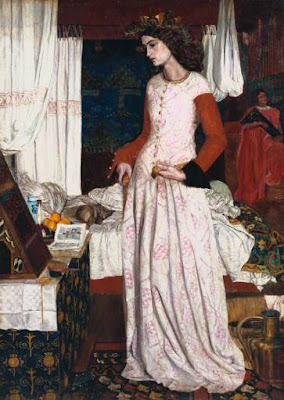 As you know, I am currently sneakily writing a Pre-Raphaelite novel, and part of the joy of writing it is the chance to animate figures from the artistic world that I know so well. 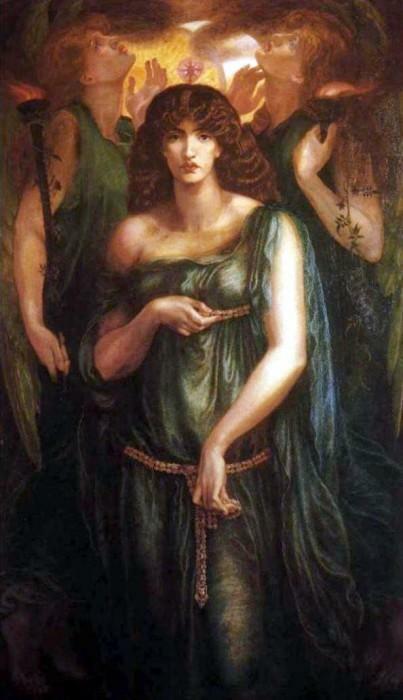 It has been a wicked pleasure, for example, to write Fanny Cornforth’s words and actions, how she appears to me. 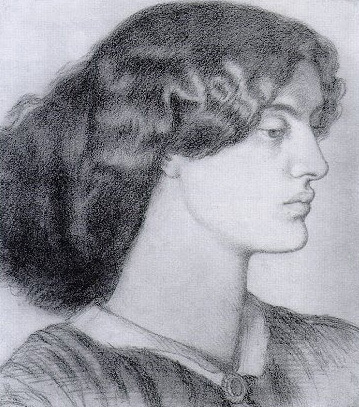 My novel is set in the late 1860s and 1870s and revolves around Rossetti’s circle. I felt happy and confident until I realised that I would have to tackle Jane Morris. 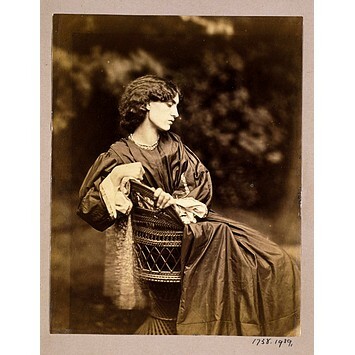 So what’s Jane Morris like? See, that’s just it, I suddenly realised I don’t have a clue. Not only that, I think on the whole I actively avoid her. That’s shocking. 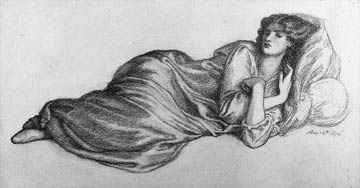 I have nothing against Jane Morris, nothing at all. Or so I thought. 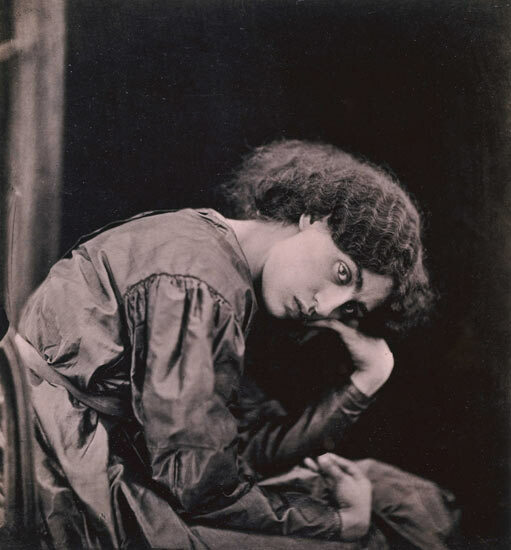 Considering further, I discovered that of my wall of Pre-Raphaelite postcards and pictures at work, only one is Jane Morris. Lord alive, I have more of Fanny Waugh than Jane. What is my problem with Jane Morris? Ahhh, William. Another sticking point for me is that it’s all well and good that she looked after Rossetti, but what about her husband? Recently, I heard Franny Moyle refer to William as a hellish husband, impossible to live with, but I’ve never got the impression from anything I’ve read that Morris was a bully or a brute. A bit socially awkward, granted, and a bit like a bull in a china shop, but not awful. As far as we know, his close friendship with Georgie Burne-Jones was as close as he ever came to playing away. I think it was Bell Scott (correct me if I’m wrong) that actually blamed Jane for Rossetti’s break down after the Fleshly School review. 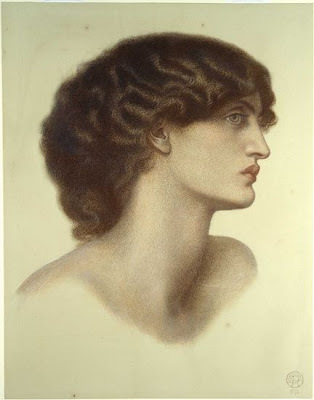 He suggested that it was her presence in Rossetti’s imagination that had worked up something dark and destructive, calling her 'sweet Lucretia Borgia', and it’s easy to see what he meant. 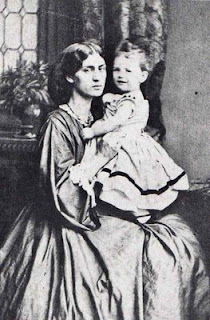 Although similar in structure, the pictures of Alexa and Fanny are miles away from the pictures of Jane. 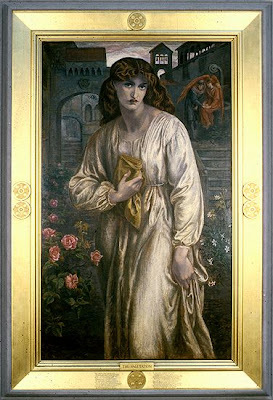 Rossetti was capable of glorious, glowing paintings such as Venus Verticordia and also, my favourite of Jane, Astarte Syriaca, which draws you into the darkness in a particularly intense way. I saw Astarte recently at Manchester and it is utterly astonishing and a little bit terrifying. I have read criticism of Rossetti’s work that suggests that all his women look like they are dying. 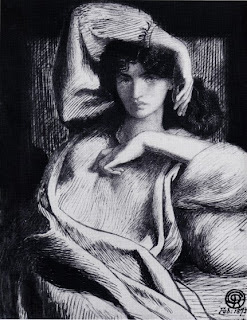 Well, actually I think his depictions of Jane Morris look like she’s coming to kill you. Now, that’s just it, maybe the problem is the way I ‘consume’ Jane Morris (that just sounds odd, sorry). Possibly if I am relying on Rossetti to tell me about Jane, I’m going to get a bad impression because he’s not talking to me from the Sane Train. When I read The Wayward Muse, I got a distinct impression of a woman who made bad choices but experienced more of life than she expected, both better and worse. I felt sympathy for Jane, a real attachment to her, which I didn’t expect. Fiction being fiction, obviously I can’t base my opinion of her on a romantic novel, but as she kept her mouth shut, I have very little to go on. 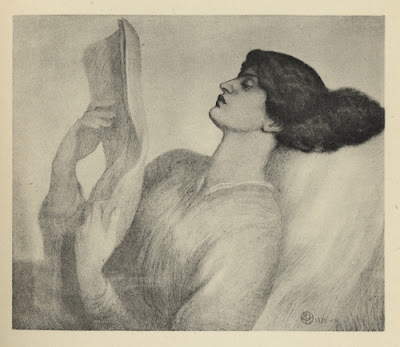 Her rather studied silence was taken as proof of her ‘mysterious muse’ nature, and unlike Fanny, Jane strikes me as a woman who understood that it was better to be silent and be suspected of being an idiot, than to flap off your mouth and prove everyone right. 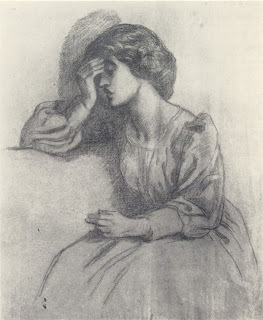 I know she denied that her relationship with Rossetti was sexual, which tends to be greeted with snorts of disbelief, but if you take Rossetti’s hydrocele into consideration (ouch) it’s not out of the question. It doesn’t excuse what she did as she still drove her husband to Iceland with her love affair. I’ve been to Iceland and it was lovely but I flew and had a Toblerone on the plane. William Morris got neither a plane ride nor a Toblerone. Poor William. 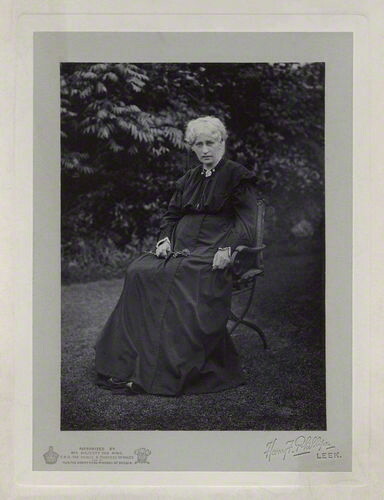 I think its hard for us now to understand that for a Victorian women marriage was almost all important. 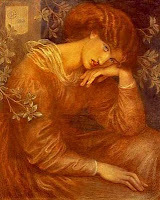 She probably always loved Rossetti but as far as I know he never offered her a ring whereas Morris did. She probably didn't betray Morris physically and looked after his homes and children pretty well by all accounts. Love, love this post. First smile all week. I agree with you. Jane is very frustrating. However, Rossetti was probably overwhelming, too. And as Hermes said, who knows what really went on between the two? You make me feel like a literary detective out of Byatt's Possession!